A collection of stories gathered during the mid-1980s through to the end of the 1990s by photographer David Pisani while working on the Vanishing Valletta Project. Pellegrinaġġ brutalment personali fil-kartografija miġnuna tat-tfulija, mingħajr boxxla jew bastun. Ġenn. Għadab. Paranojja. Iżda wkoll, bil-pass il-pass, il-luċidità, il-fehim, u l-possibbiltà tal-fejqan. Gilbert Calleja's photographic documentary of the transgender community in Malta is a breakthrough publication that confronts the issues of a sub-culture that is struggling to assert itself in mainstream society. Calleja's photographic work is informative as much as it is empathetic, never slipping into the obvious sensationalistic clichés of in-your-face photojournalism. 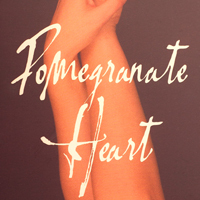 Pomegranate Heart, Miriam Calleja's debut book of poetry, is now in its second edition. 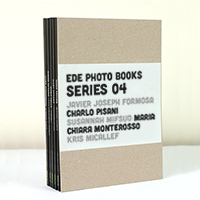 Ede Photo Books - Series Four are photography books by Charlo Pisani (Instants), Javier Joseph Formosa (Out Of Me), Kris Micallef (#parisisaparty), Maria Chiara Monterosso (Almost Home) and Susannah Mifsud (One Hundred Ninety Days). 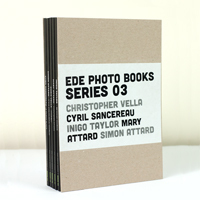 Ede Photo Books - Series Three presents in the third series photography works by Christopher Vella, Cyril Sancereau, Inigo Taylor, Mary Attard and Simon Attard. Each book consists of up to 30 photographs presenting a single artist's work. 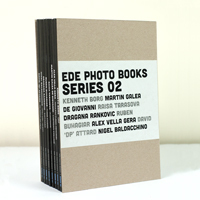 Series Two is a continued collaborative publishing project between Ede Books and visual artists. 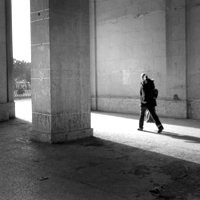 Presented in the second series are photography works by Alex Vella Gera, David ‘dp’ Attard, Dragana Rankovic, Kenneth Borg, Martin Galea De Giovanni, Nigel Baldacchino, Raisa Tarasova and Ruben Buhagiar. 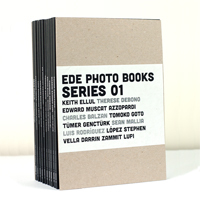 Ede Photo Books - Series One is the first collaborative publishing project between Ede Books and visual artists. Presented in the first series are themed photography works by Charles Balzan, Darrin Zammit Lupi , Edward Muscat Azzopardi, Keith Ellul, Luis Rodríguez López, Sean Mallia, Stephen Vella, Therese Debono, Tomoko Goto and Tümer Genctürk. 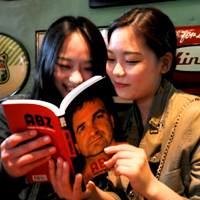 Each book consists of up to 30 photographs presenting a single artist's work. Transit is the culmination of the online and on-site Transit urban art project. This stylishly designed book – an ‘art study’ – traces the quiet tension arising from the Valletta City Gate project. 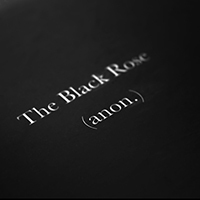 A collection of 93 poems infused with a vapourific view of the author’s own alcohol-induced take on life, the world and the culture he inhabits. Karl Consiglio writes as he thinks and makes no concession to language snobbery or class distinctions.. 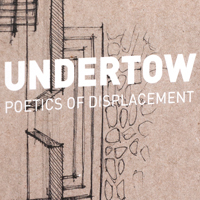 This book is the result of an intense collaboration with people from elsewhere, now living in Malta. You will find their own words in each chapter. 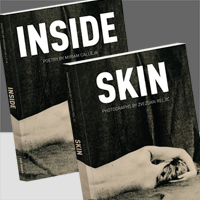 Ede Books once again teams up with poet Miriam Calleja for a collaborative book series incorporating both photography and poetry, entitled ‘Inside Skin’. 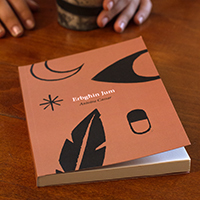 The print-on-demand books – released in two companion editions – present Calleja’s poetry side-by-side with photography by Zvezdan Reljic.